Feel good television shows like Heartland are some of the best to watch together with friends and family! 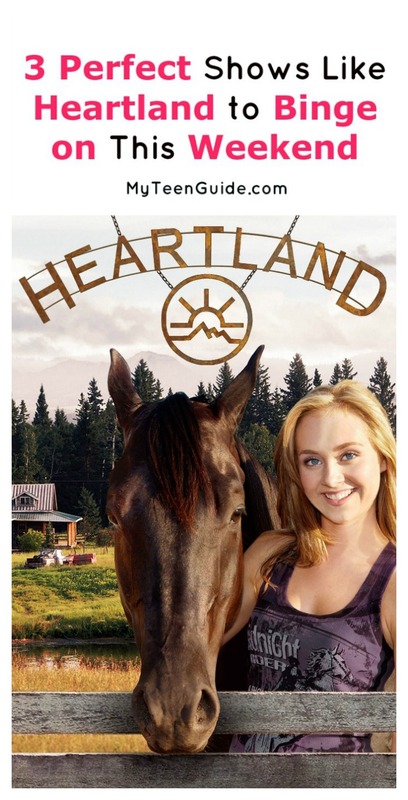 If you are a Netflix fan, you have likely seen Heartland, which has been on air since 2007, pop up on your “what’s trending” feed at least once. The show is all about a family who has to stick together through all of the problems that life hands them. Amy, the young daughter, has the ability to help injured horses. This skill was obviously handed down from her mom, who has since died. If you’re looking for more relatable and feel good shows, you’re in luck! Here are three shows that are just like Heartland. This is a British television show that first aired in September 2012. The show has hints of drama and hints of romance in each episode. The Paradise follows life in England during the 1870s and focuses on a small-town love story that blossoms in the country’s first department store. Not only is this show nice to watch, it also gives you a bit of a history lesson! You’ll see how everyday living changes throughout the 1870s. The show offers 16 episodes which is just enough for a weekend binge-watch session! If you’re looking for a show that incorporates family drama, western themes, and a little bit of romance, this is the show to watch! When Calls the Heart is a Canadian-American television series that takes us into the life of a young high-society life teacher named Elizabeth. She is sent to work in a poverty-stricken coal-mining town where life is much simpler than what she is used to. Elizabeth has to learn the ways of the land and the ways of the people to survive. The show was just renewed for a fifth season! This show offers the perfect combination of romance and drama. Cedar Cove was on air for three seasons and was produced by the Hallmark Channel. The show takes us into the life of Andie MacDowell, a court judge in the town of Cedar Cove. We get to see her professional and personal life and ho w those in Cedar Cove live. The show offers beautiful landscapes and is great to watch on a day when you want a feel good plot. With 36 episodes, this show will keep you busy for at least a week! What’s your favorite feel good show? Do you have any other favorite shows like Heartland? Share below!